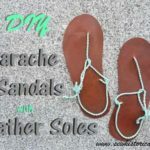 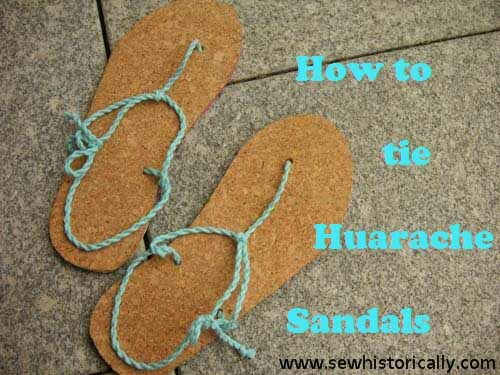 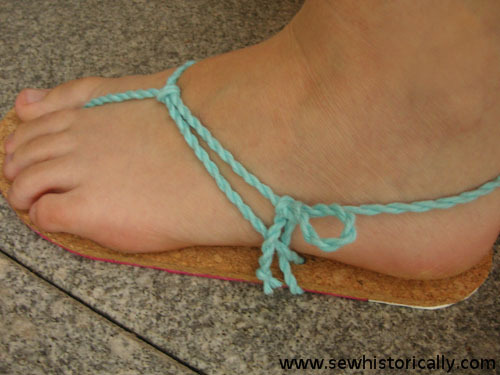 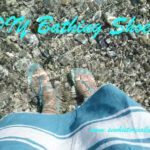 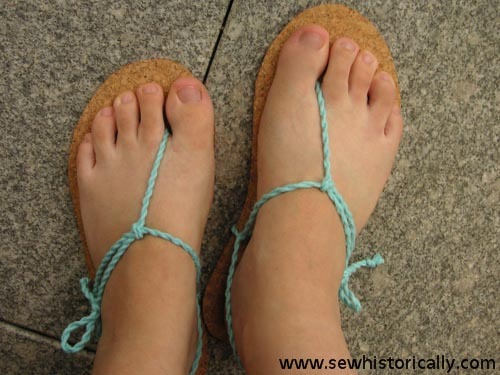 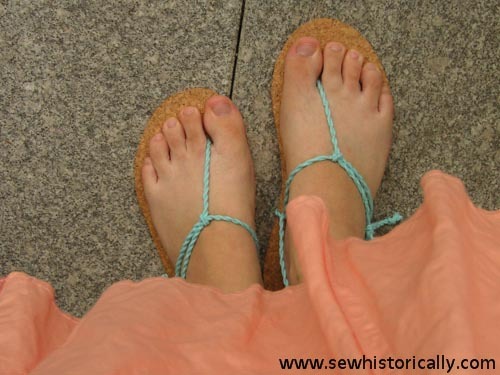 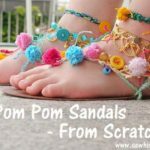 There are so many different ways how to tie Huarache barefoot running sandals. 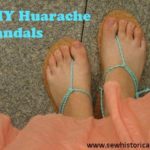 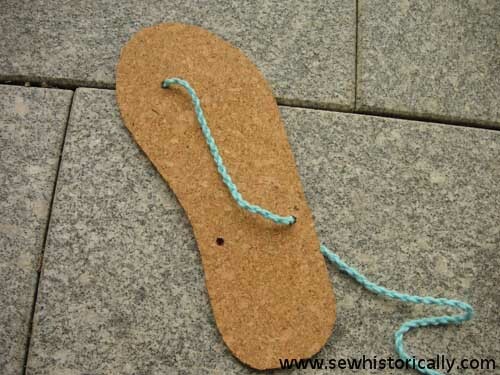 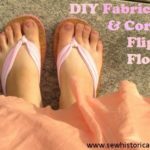 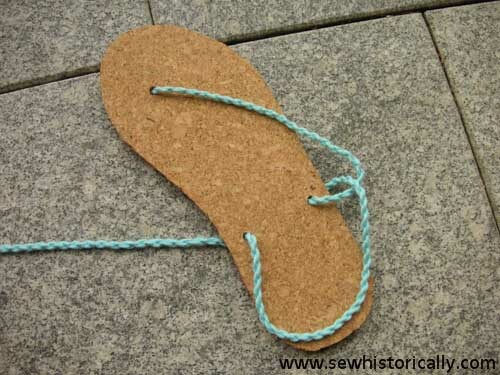 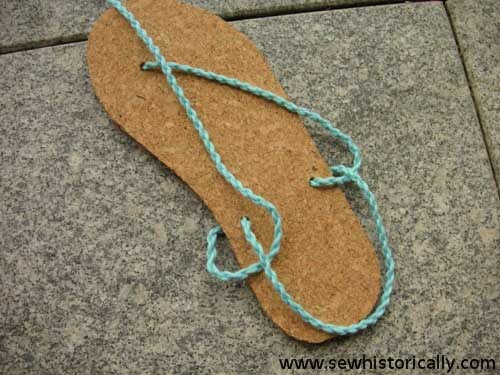 Here’s how I tie my DIY Huarache-type sandals. 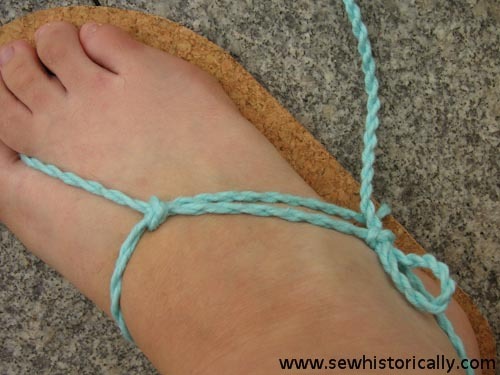 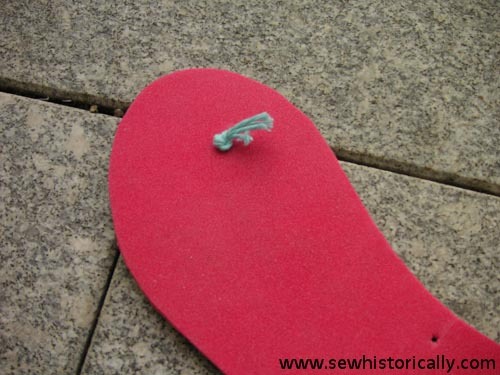 Tie an overhand knot and thread the long end of the cord through the hole between your toes. 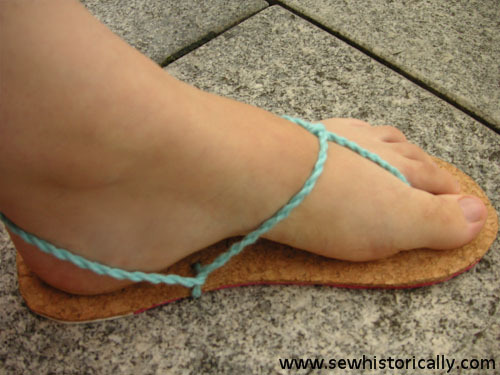 Lace the shoe as in the pictures. 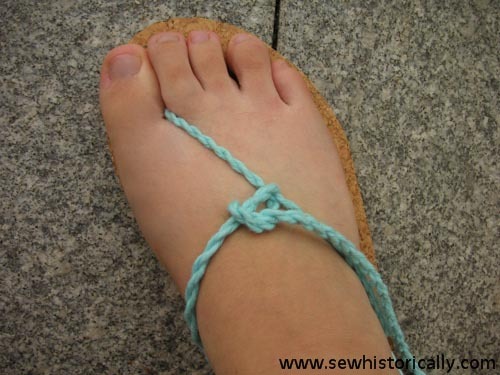 Tie an overhand knot with loop around the cord at the side.